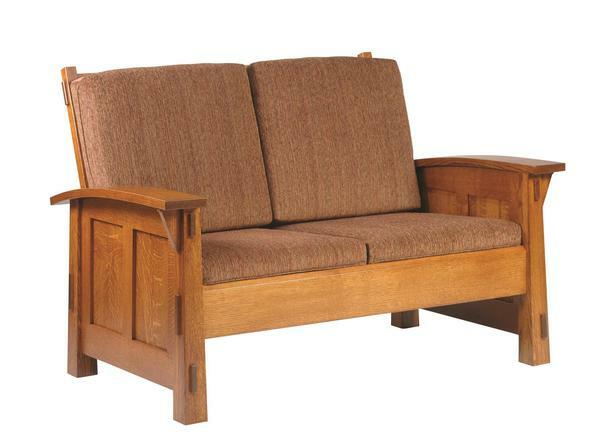 This Amish Olde Shaker Loveseat pairs solid hardwood with reversible fire-retardant cushions. The exposed tendons and paneled sides create a transitional look that can be appreciated by everyone. Handcrafted in the USA, this love seat provides a comfortable and durable place that the whole family can enjoy. Whether it is relaxing after a long day, having a friend over for a cup of coffee, or reading a book to your children, this loveseat will produce memories and comfort for years.